In Ktav בית יוסף the right hand head of the letter צ is a Yod looking forward. In Ktav הארי this head is looking backwards. In ancient writings this head looks like the letter ז so it has protrusions both forward and backwards. 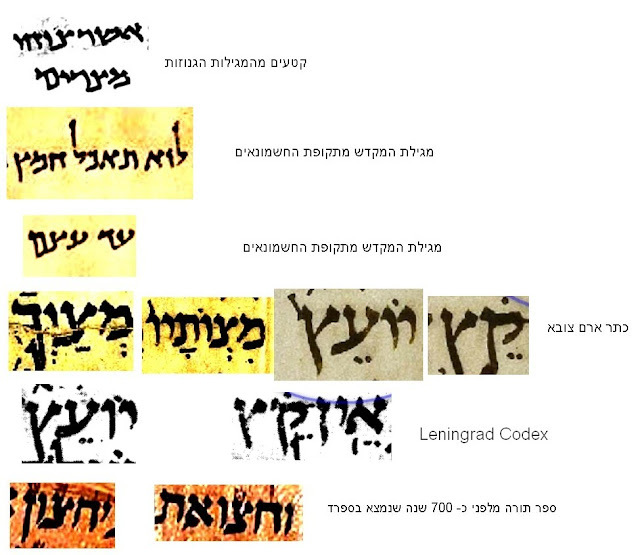 I have a few mezuzot בית יוסף in which I want to add some ink and make the letters צ look like in the ancient writings. Is it allowed? Or, is there a problem of שלא כסדרן ? While adding ink to the right side is not shelo kesidran, a chacham should be consulted as to whether it's appropriate to change the tzura from the accepted form. I'm confident that Rav Friedlander would be strongly against it. What do you mean by "ancient writings"? In the times of the Rishonim there were many different styles of writing, depending on the time and place. And there were many different forms of צ. There is no halakhic reason to prefer the form with protrusions on both sides of the right head. I am curious why you decided to copy this one aspect of the "ancient writings" to which you refer, when there are many more substantial differences between modern כתב בית יוסף and "ancient writiings." In any event, even if if one did hold that the right head of צ was supposed to look specifically like a zayin, there would be no issue of שלא כסדרן to fix it. I added some examples of old letters צ . According to Sefer HaZohar and the Ari, the right head of the צ must protrude to the right. In that case there might be a question whether the B"Y צ is valid. Some Litvishe Rabbanim claim that the Ari צ is Passul. Some Chassidishe Rabbanim claim that the B"Y צ is passul. To avoid all such claims, the best solution seems to be making the right head of the צ look like a Zayin which matches the ancient writings. Obviously the פשטות is they are all kosher. I never heard of anyone say that the Ari's shitah that it should protrude to the right is לעיכובא. 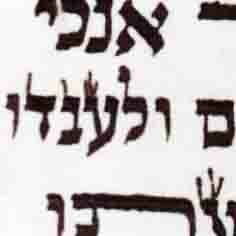 In the "ancient writings," the right head of the א and often other letters also looks like a zayin. Are you going to "fix" the א as well? 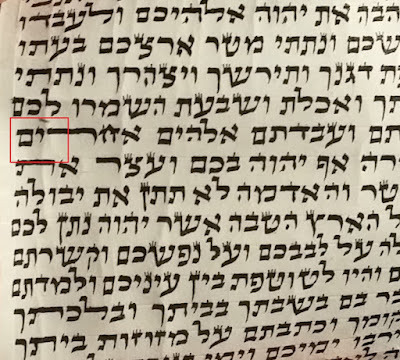 If you're going with the idea that only what appears in "ancient writings" is kosher, then maybe the contemporary ח is also pasul because it looks nothing like the "ancient" ח (plain flat on top, "Rashi" version). In the "ancient writings," שעטנ"ז ג"ץ have no Tagin. They merely have a three-cornered head on the left side (this is famous as the opinion of יראים). Are you going to start writing STaM without תגי שעטנ"ז ג"ץ? I agree with R' Yankev. How about connected ההי"ן and קופי"ן? Also, I have never heard about any Chasidishe poskim saying that Beis Yosef tzadis are pasul. The simple interpretation of the Arizal himself is that his special hakpados were only meant for Tefillin. The עיקר גדול in these inyanim is the famous Tshuvas HaRosh that all of the ksavim of the different communities in Klal Yisroel are kosher. HaRav Greenfeld from Vaad Mishmereth Stam published a long article on the subject. Rabbi Greenfeld is coming to debunk the common belief among many bnei yeshiva that they must change their tfillin to ksav Beis Yosef based on the earlier opinion of the Chazon Ish. In fact, I asked Rabbi Greenfeld why in the Vaad Mishmeres Stam office in Boro Park there is one Beis Yosef mezuza and one Arizal mezuza. He said something like: "What's the question? They are both יסודם בהררי קודש!" Many poskim hold that ksav Ari is not lechatchila for Ashkenazim who are not Chassidim (and not Yekkis). Understood. But he is not discussing lechatchila. He is writing about yeshiva bochrim who are nervous that they are a karkafta delo manach tfillin because their tfillin (and often their zaide's and eltere zaide's...) are written in ksav Arizal. There are poskim who would tell them to; Rabbi Greenfeld's article is mainly about how this is falsely attributed to the Gaon based primarily upon the Ksiva Tama שכל דבריו צריכים בדיקה and readings in other singular sources which are not at all מוכרח. I didn't read the article. I'm only saying that many who are not from Chassidish or Yekke families are advised (not because they are pasul but b/c they're not lechatchila for them) to switch to B"Y when they find out that their tefillin are Arizal. In my close to 30 years as a magiah/socher I don't recall people switching out of concern for mamash psul. Ok but despite what some Poskim recommend it's not מוכרח that there's even a problem לכתחלה. There are many other issues in צורת האותיות to deal with if we want to get started on making things בדיעבד. It happens to be there is more quasi-precedent for the צ issue but those who are willing to assess the issues honestly will realize that it's but a drop in the pond. I know my place and when I find myself in this situation, no matter what mesorah I have from my posek, I direct the person to consult an expert posek for guidance. Perhaps your shoulders are broad enough to disagree with the many poskim who hold otherwise and can make this call yourself. Even if this is the case, the highest regard for those who differ with you is called for. I believe that is in the writings of the students of the Arizal themselves as well. 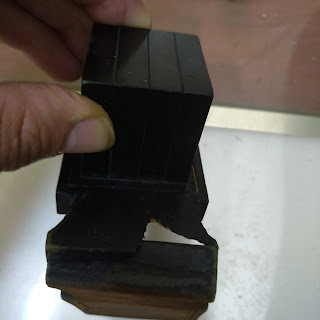 If anything is not לכתחילה , do most Poskim hold that it should be replaced if possible?